With the majority of them weighing anywhere from 10,000 and 80,000 pounds, big trucks or semis colliding with passenger vehicles usually result in serious injuries or even the death of those in the cars. 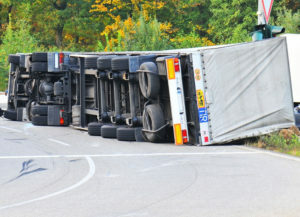 Phoenix, Arizona truck accident lawyer Nathaniel B. Preston (“Nate”) has successfully helped many victims of terrible truck accidents get the compensation they deserve for their injuries. The U.S. Department of Transportation has statistics that indicate there are about 500,000 truck accidents each year, with as many as 5,000 of them leading to loss of life. That means one out of every 5,000 truck crashes involves a fatality. Overall, one out of every eight traffic fatalities are caused by a trucking accident. When a crash is involving a smaller passenger vehicle and a tractor-trailer, 98% of the fatalities were people in the cars. These are statistics that should get your attention. There is a legal responsibility for owners of trucking companies and their drivers to pay attention to all traffic laws and to make sure that their big trucks are always properly maintained and cared for. Passenger vehicle drivers should take the time to practice defensive driving, especially when traveling on the roads, interstates, and highways that are most heavily populated with tractor-trailers and bigger trucks. Warnock MacKinlay Law is dedicated to representing victims who suffered injuries in truck accidents. He fights to help them get the compensation they deserve for their damages. Your initial consultation where your claim is evaluated is completely free. Plus, you don’t have to pay out anything unless Nate recovers compensation for your claim first. If you or a loved one has suffered injuries because of a big truck accident in Phoenix, AZ, act quickly and contact Nate today to schedule a free initial case evaluation by filling out the online form or by calling his offices at 602-652-2009. Nate will treat you with care and compassion while aggressively pursuing your case.